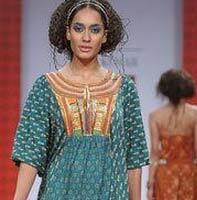 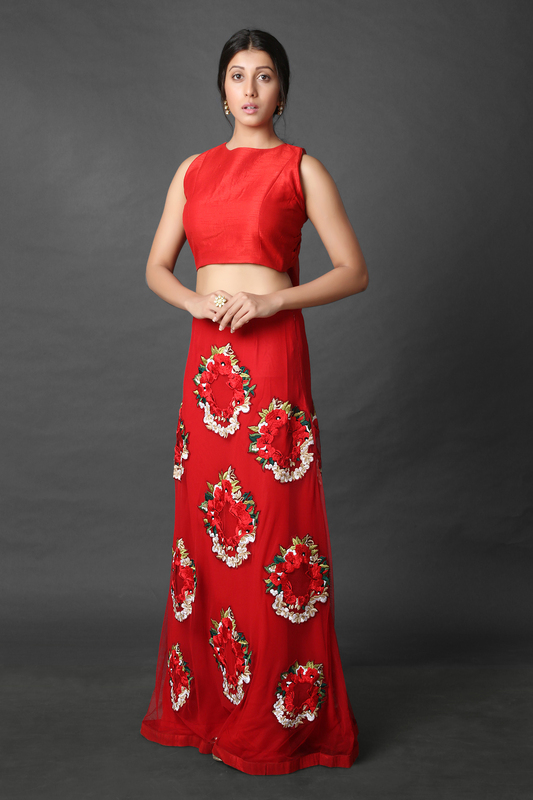 Understated elegance and sophistication is best defined with this beautifully designed attire. 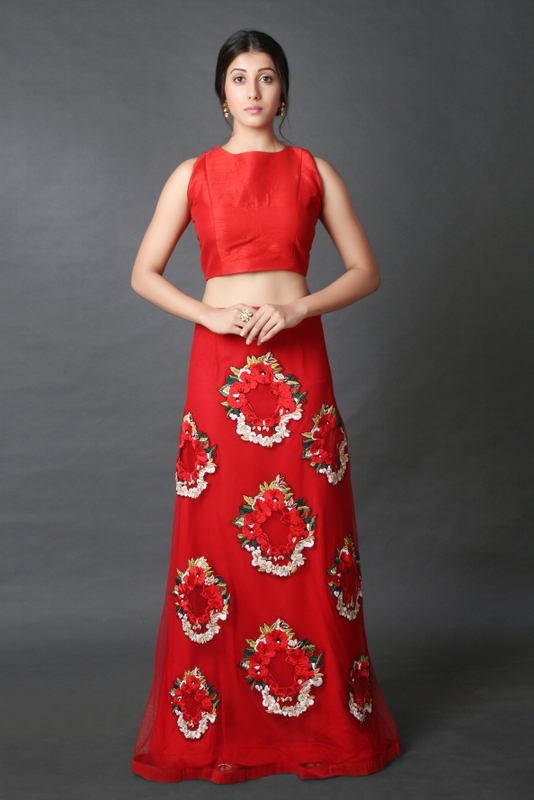 The princess cut crop top is teamed up with a fit and flared skirt beautified with alluring floral thread embroidery. 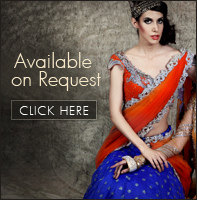 It makes for a perfect choice for a wedding function.